Home Insurance How to Get Loan against LIC Policy? A Loan is essential to grow our business or to fulfill our financial needs when in need. Loans are provided by the bank and the financial institution and for that, the banks charge the interest based on the market conditions. When availing the loan, the bank usually provides it on an asset possession of the loan seeker like against a property, land or other assets. 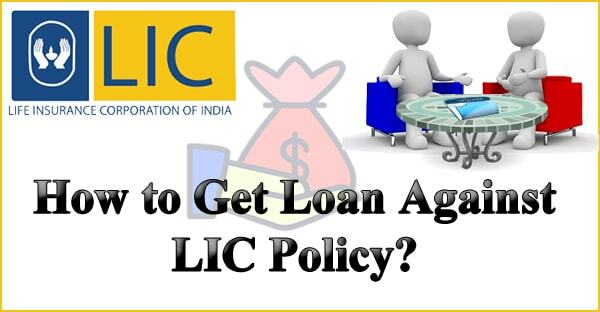 If you are an LIC Policyholder then you can also avail loan against that policy that will be provided by the LIC of India. LIC is a corporation that provides the user with many benefits that include investment schemes with insurance, term insurance, etc. In this article, we will discuss various advantage and disadvantage of LIC Loan and what are the LIC that are eligible for a loan. The LIC policy that the applicant has taken will be withheld by the company in case the applicant is unable to repay the loan amount. If the loan debt exceeds the surrender value of the policy, then the bank reserves the right to terminate the policy. The loan against LIC policy is only made available to policyholders who have paid three years of insurance premium in full. He or she should be an LIC policyholder. At least 3 years of insurance premium should be paid in full. The borrower must be at least 18 years of age. The policy should be an endowment policy that has a surrender value. The maximum loan amount that can be availed cannot exceed 90% of this surrender value. For paid-up policies, this amount is 85%. A Loan can be applied by contacting the LIC agent who has your insurance done. The loan offered by the LIC does not have any processing fee and the document that you will require are already with the LIC therefore, the loan taking process will be very simple and easy. The loan amount will be transferred to your bank account once the loan is sanctioned.